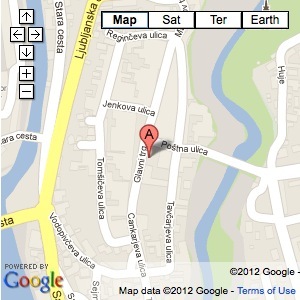 -the older part, which borders Poštna ulica and opens onto the square with a pillared shed, is first mentioned in the first half of the 16th Century. On the ground floor there is a so-called pillared hall where temporary museum and art exhibitions are being held. -the second part, formerly an aristocratic manor, is a beautiful example of renaissance architecture and was built in the beginning of the 17th Century. In the entrance hall of this part, old-Slovenian graves and a ceremonial fireplace from the 9th and 10th Centuries were discovered in 1965 and are exhibited on-site. In the City hall, the Renaissance hall and three permanent collections – the works of sculptor Lojze Dolinar (1893 – 1970), The Iron Thread archaeological exhibition and Ethnological folk art in the Gorenjska region – are open to the public. 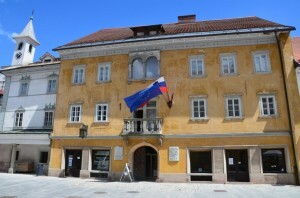 The City Hall of Kranj also has a gallery on the ground floor, hosting museum and art exhibitions.